Phagocytosis of fungus spores. 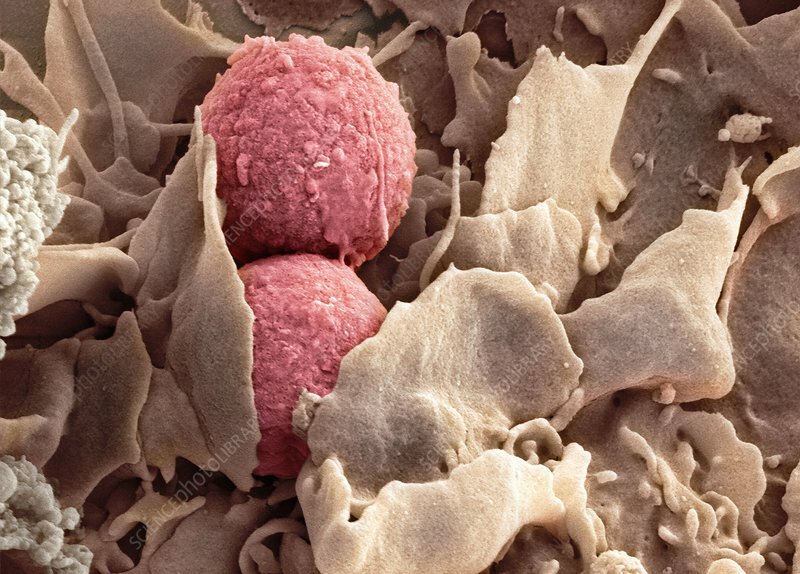 Coloured scanning electron micrograph (SEM) of spores from the fungus Aspergillus fumigatus (red) being phagocytosed (engulfed and destroyed) by a dendritic cell (brown). Dendritic cells are antigen presenting cells (APCs) that present the digested parts of phagocytosed pathogens to other immune system cells. Aspergillus fumigatus is common in dust, soil, and on plants and plant products such as hay or grain. It can cause a number of different diseases in humans, including allergic disorder, respiratory infection and invasive disease.